INSIDE GREETING: You SKIP over them so gracefully they never even SHOW! 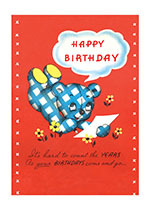 Happy Go Lucky cards are corny, but delightfully so, using puns and other forms of gentle humor to invoke a smile. 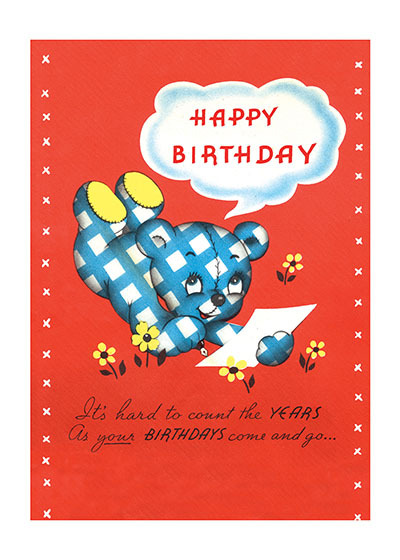 They are reproductions of commercial greeting cards from 1940-1960.